The Foo Fighters continued to perform their show-closer, “Everlong”, at the Bottlerock Festival in Napa Valley, CA on May 28 after organizers pulled the plug on power due to a strict 10 p.m. local curfew, and video from the show has surfaced online. 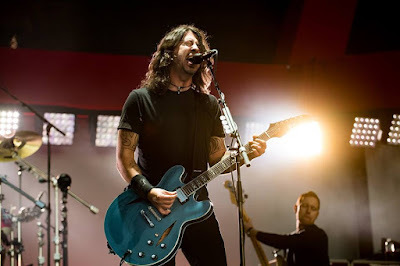 When the event’s sound system was shut down during a natural pause in the band’s classic 1997 hit, Dave Grohl and company kept playing and, as the audience realized what was happening, they joined in to help finish the song. The Foo Fighters closed out the Memorial Day weekend event on a bill that also saw headline sets by Tom Petty And The Heartbreakers and Maroon 5. Following a planned hiatus after the completion of extensive touring in support of 2014’s “Sonic Highways”, the group will next appear at the Secret Solstice Festival in Reykjavik, Iceland on June 16 before a series of festival dates across Europe this summer. The Foo Fighters recently announced a series of August dates in Asia, including stops in Japan, South Korea, Thailand and Singapore.